Performing regular maintenance according to the factory-recommended Maintenance Schedule is the best way to keep your Acura running at peak performance. 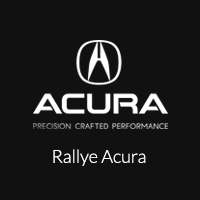 From oil & other vital fluids to brakes and engine maintenance, Rallye Acura is committed to serving all of your automotive needs. Each vehicle has its own maintenance requirements, so Acura develops specific maintenance schedules based on model equipment, such as transmission choice or the addition of a towing package. Your Acura’s service needs are then calculated by the maintenance schedule based on your vehicle’s mileage. Whether your vehicle is due for maintenance or requires something more specific, convenient online service scheduling allows you to keep your Acura performing at its best. With every Acura Accelerated Service, your vehicle will receive a multi-point inspection and a complimentary wash and vacuum. All this is performed in 60 minutes or less by Acura-Trained Technician Teams who use Genuine Acura Parts and Fluids.The experience starts when you arrive. You’ll be met by a Service Consultant waiting to expedite your check-in. You’ll find it faster and more convenient than ever to wait while your service is being completed. Our client lounge offers quiet, comfortable seating, wireless internet access and complimentary refreshments.